Three recent developments lay bare the fragility of Middle Eastern alliances and a rebalancing of their priorities: the Russian-Turkish compromise on an assault on the rebel-held Syrian region of Idlib, the fate of troubled Abu Dhabi airline Ettihad, and battles over reconstruction of Syria. These developments highlight the fact that competition among Middle Eastern rivals and ultimate power within the region’s various alliances is increasingly as much economic and commercial as it is military and geopolitical. Battles are fought as much on geopolitical fronts as they are on economic and cultural battlefields such as soccer. As a result, the fault lines of various alliances across the greater Middle East, a region that stretches from North Africa to north-western China, are coming to the fore. 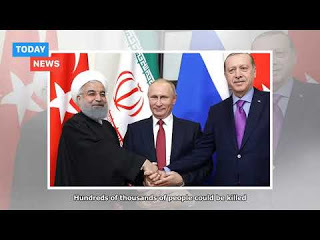 The cracks may be most apparent in the Russian-Turkish-Iranian alliance but lurk in the background of Gulf cooperation with Israel in confronting Iran as well as the unified front put forward by Saudi Arabia and the United Arab Emirates. Russia, prevented, at least for now, a rupture with Turkey, by delaying an all-out attack on Idlib despite Iranian advocacy of an offensive. Turkey, already home to three million Syrians, feared that a Syrian-Russian assault, would push hundreds of thousands, if not millions more across its border. If Iran was the weakest link in the debate about Idlib, it stands stronger in its coming competition with Russia for the spoils of reconstruction of war-ravaged Syria. Similarly, Russia appears to be ambivalent towards a continued Iranian military presence in post-war Syria, a potential flashpoint given Israel’s opposition and Israeli attacks that led earlier this month to the downing of a Russian aircraft. By the same token, Turkey, despite its backing of Qatar in its 15-month-old dispute with a Saudi-UAE-led alliance that is boycotting the Gulf state diplomatically and economically, poses perhaps the greatest challenge to Qatari efforts to project itself globally by operating one of the world’s best airlines and positioning itself as a sports hub. Turkey, despite its failure this week to win the right to host Euro 2024 and its lack of the Gulf’s financial muscle, competes favourably on every other front with Qatar as well as the UAE that too is seeking to project itself through soft as well as hard power and opposes Mr. Erdogan because of his Islamist leanings, ties to Iran, and support of Qatar. Turkey wins hands down against the small Gulf states when it comes to size, population, location, industrial base, military might, and sports performance. That, coupled with a determination to undermine Qatar, was likely one reason, why the UAE’s major carriers, Emirates and Etihad that is troubled by a failed business model, have, despite official denials, been quietly discussing a potential merger that would create the world’s largest airline. Countering competition from Turkish Airlines that outflanks both UAE carriers with 309 passenger planes that service 302 destinations in 120 countries may well have been another reason. Emirates, the larger of the two Emirati carriers, has, a fleet of 256 aircraft flying to 150 destinations in 80 countries. These recent developments suggest that alliances, particularly the one that groups Russia, Turkey and Iran, are brittle and transactional, geared towards capitalizing on immediate common interests rather than shared long-term goals, let alone values. That is true even if Russia and Turkey increasingly find common ground in concepts of Eurasianism. It also applies to Turkey and Qatar who both support Islamist groups as well as to Saudi Arabia and the UAE who closely coordinate policies but see their different goals put on display in Yemen. The fragility of the alliances is further underwritten by Turkish, Russian and Iranian aspirations of resurrecting empire in a 21st century mould and a Saudi quest for regional dominance. Notions of empire have informed policies long before realignment across Eurasia as a result of the focus of the United States shifting from the Middle East to Asia, the rise of China. increasingly strained relations between the West and Russia, and the greater assertiveness of Middle Eastern states like Saudi Arabia, the UAE and Iran. In a world in which globalization is shaped by geopolitical zones rather than individual countries, Russia’s imperative is to be a region by defining itself as an Asian rather than a European power that would be on par with China, the European Union, and a US zone of influence. “Putin does not think along national lines. He thinks in terms of larger blocks, and, ultimately in terms of the world order,” said former Portuguese minister for Europe, Bruno Macaes in a recently published book, The Dawn of Eurasia. In doing so, Russia is effectively turning its back on Europe as it reinvents itself as an Asian power on the basis of a Eurasianism, a century-old ideology that defines Russia as a Eurasian rather than a European power. The Eurasian Economic Union, that groups Russia, Kazakhstan. Kyrgyzstan, Belarus and Armenia, is a vehicle that allows Russia to establish itself as a block in the borderland between Europe and Asia. Similarly, Eurasianism has gained currency in Turkey with President Recep Tayyip Erdogan, who enabled by the demise of the Soviet Union and the re-emergence of a Turkic world, projects his country as a crossroads between Europe, Africa and Asia rather than a European bridge to Asia. In that vein, Turkish columnist Sinan Baykent projected this week’s fence-mending visit to Germany by Mr. Erdogan and his proposal for a summit on Syria of Turkish, Russian, German and French leaders as a Eurasian approach to problem solving. The meeting between Mr. Erdogan and German chancellor Angela Merkel was meant “to pave the way for a Eurasian solution for the region… There is a new axis forming today between Berlin, Moscow, Ankara, Tehran and maybe Paris… All of these countries are fed up with American unilateralism and excessive policies displayed by the Trump administration.,” Mr. Baykent said. If Turkey and Russia’s vision of their place in the world is defined to a large extent by geography, Iran’s topology dictates a more inward-looking view despite accusations that it is seeking to establish itself as the Middle East’s hegemon. “Iran is a fortress. Surrounded on three sides by mountains and on the fourth by the ocean, with a wasteland at its centre,” noted Stratfor, a geopolitical intelligence platform. Gulf fears are rooted not only in deep-seated distrust of Iran’s Islamic regime, but also in the fact that the foundation of past Persian empire relied on control of plains in present-day Iraq. As a result, the manoeuvring of Gulf states, in contrast to Turkey and Russia, is driven less by a conceptual framing of their place in the world and more by regional rivalry and regime survival. Countries like Qatar, Saudi Arabia and the UAE walk a fine line focusing geopolitically on an increasingly unpredictable United States and economically on China and the rest of Asia, including Russia, Korea and Japan. What the plight of Idlib, potential change in aviation and competition for reconstruction contracts highlight is the brittleness of Middle Eastern alliances that threatens to be reinforced by economics becoming an increasingly important factor alongside geopolitics. “Stakes for all parties are starting to divert from each other in Syria and the prospects of cooperation with Russia and Iran are becoming more challenging,” said Turkish columnist Nuray Mert commenting on the situation in Idlib. Her analysis is as valid for Idlib as it for the prospects of many of the Middle East alliances. Dr. James M. Dorsey is a senior fellow at the S. Rajaratnam School of International Studies, co-director of the University of Würzburg’s Institute for Fan Culture, and co-host of the New Books in Middle Eastern Studies podcast. James is the author of The Turbulent World of Middle East Soccer blog, a book with the same title and a co-authored volume, Comparative Political Transitions between Southeast Asia and the Middle East and North Africa as well as Shifting Sands, Essays on Sports and Politics in the Middle East and North Africa and just published China and the Middle East: Venturing into the Maelstrom He is a frequent contributor to global Research.